Have you bought something recently? Not groceries or gas or a coffee, but something… unusual, or big, or surprising? Are you suddenly thinking about buying a car? Or a very specific kind of shoe? Or maybe a new home appliance? You may think that you are a perfectly logical individual who has some sort of schedule for making major or unusual purchases, but I bet you’re like most people and suddenly, the idea of a new TV or mattress seems like a really good one. So you start shopping online. Google once referred to this moment, in which the idea to buy something, or do something, suddenly materializes in your head, as the Zero Moment of Truth. In one second, you were perfectly content with your pillow, the next you realized how much you want a new one. It’s a magical moment, and really, no one understands it. Some people will tell you it happens when a need occurs, but I don’t buy that. How long after DVDs were common did it take you to upgrade from your VHS machine? Months? Years? Some will say it occurs when you suddenly have a pain point: a problem that needs solving. You need to buy a drill because you need to put some holes in your wall. And that’s probably something that happens pretty regularly. But I never felt some pain of not owning yet another TV or watch, yet I really want one. I suggest that the magic moment is far less obvious than anything we can imagine. A strange thought floats through our head, sparked by a picture we saw, a TV show we watched, a magazine we read, or something someone said, and it hits an unspoken and unrealized need. Boom. You want this thing. You’ve lived with this TV for a very long time and it’s not broken, but you suddenly feel possessed by the idea that staring at it any longer would annoy you. You’ve got the money for a new TV, so off to the web you go to research a new one. Why on earth am I talking about this? Well, the people we want to hire already have jobs. They are jobs they go to every day and it pays the bills. They’ve got a best friend at work, and they know the best place to get lunch on Fridays. Yes, there are days when it’s a pretty tough job, and it isn’t always rewarding, but it’s good enough. This is someone you want to employ. They have the skills and experience that would fit right in, but right now, like their TV, they are perfectly content with the job they have. So how do you float that idea into their head that they should look for a job? More specifically, how do you get them to think about applying for one of your jobs. You could track them down and email them, but think back to your TV. You threw out hundreds of flyers for TV sales in your area. You ignored thousands of commercials about new TVs. You simply weren’t interested. You shrugged your shoulders at your friend’s new TV. I bet if the guy from the TV store knocked on your door with three good choices, you’d turn him away. You didn’t know you wanted a new TV. So you filtered out the idea. But something made you suddenly want that new TV. In telling this strange story of a TV, you may have noticed something: that there were lots of different factors that could have sparked the need: the flyer, the commercial, seeing a friend’s new TV. Any one of them could have been the spark turned into a purchase. Or it could have been walking by the TV store. Or it could have been the article on how new TV tech makes a better screen. Or it could have been that blog post about how great some new movie was when they watched it on their new TV. We live in a world of content. It floats through our consciousness like dust in a quiet room. Thousands of pieces of dust literally hit us in the face every day, and we never notice it, let alone a single piece of dust. But when a piece of dust hits us in the eye just right, we are very conscious of the dust. It just had to hit a receptive space. When I talk about content marketing, I’m aware that people want a blog post or a tweet to be like a commercial: we know that if we show a commercial to enough people, some will take action. But content marketing isn’t like that. It is a process to create all those particles of dust, knowing that eventually, one will float into someone’s consciousness and spark a reaction. Think of that prospect you want to attract. They have spent the last ten to fifteen years learning to ignore your ads. They can’t conceive of joining your Facebook page because they are perfectly happy where they are. They won’t search for your jobs. They are pretty quiet on LinkedIn. To you and your standard tools, this applicant is invisible, elusive to your tricks. Content, like dust, plays by very different rules. It exists, it floats, it goes this way or that, without any plan. And it will eventually draws someone’s attention. How is content so magical? That’s easy. All your recruiting tools are commercials designed to get the target to take action. You hate commercials just as much as your prospect does, so you can’t be surprised when they don’t work really well. Well-conceived content does something different: it helps the target do something. It teaches them something. It entertains them. It encourages them. It inspires them. Content doesn’t ask, content gives. And in giving, content gets attention. To that end, the conversations you have about content marketing need to be in the shape of dust, not in more ads. Content simply doesn’t behave the same way media does, so asking it to achieve the same results in the same manner is begging to be disappointed. 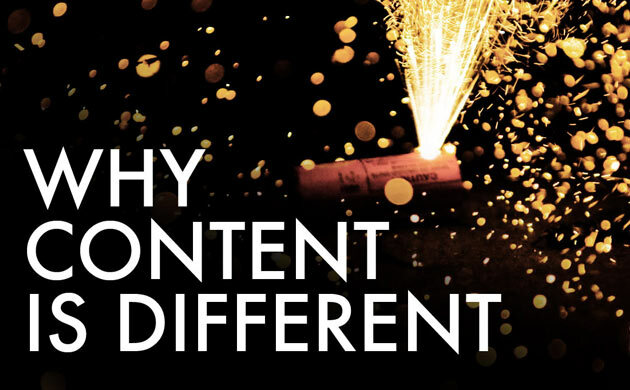 Because content does its work so differently, you need to know that its genesis is also different. In the past, you made an ad or a job description and then you paid to push that ad or job in front of people. In the new model, you make some new content every week or every day. Sometimes it’s something small like a quote or a funny picture. Sometimes it’s an infographic, explaining a concept your company excels in. Sometimes it’s a video that captures wisdom from around the company. Then, after you publish it, you do it again. This is the publication model of marketing. In the same way that NPR or BBC pushes out new shows every day, you need to create content on a regular basis. Some content will resonate and get used all over. Some content won’t quite connect. That’s okay, you get better the more you do it. It sounds like a lot of work, and it certainly can be. But building content on a regular basis, reusing it and sharing it, is an amazing way to tap into a whole new audience who right now doesn’t even know you exist. The process needs to be repeated over and over, like exercise or practice before it. Getting people who are looking for a job to apply for your job is child’s play. You probably have all the tools you need to draw them in (SEO, job boards, job distribution, ads, recruiters, social media, etc). They real prize is sparking that passive candidate into action. And you can’t do that with a full-frontal assault. You need to sneak up on them, give them something they like, and then wait for the sparks to start.